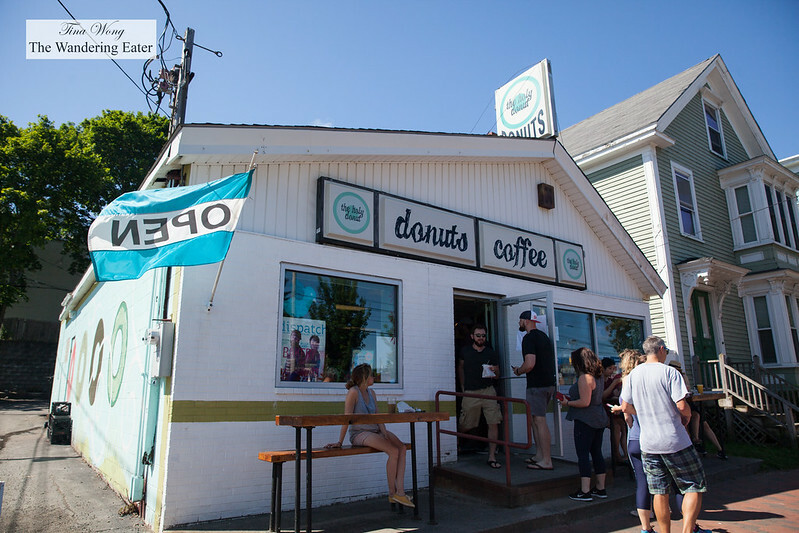 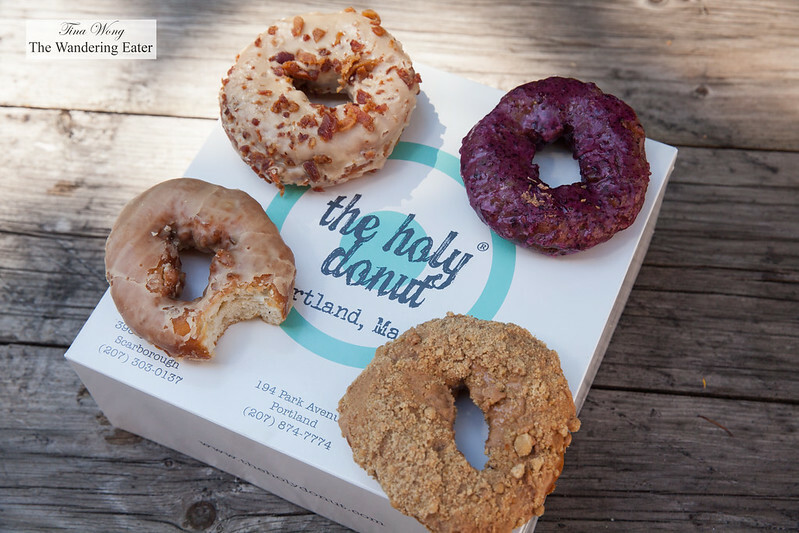 If there’s something I’m pretty excited to visit in Portland, it would be the famed artisan doughnut shop, Holy Donut founded and owned by Leigh Kellis. 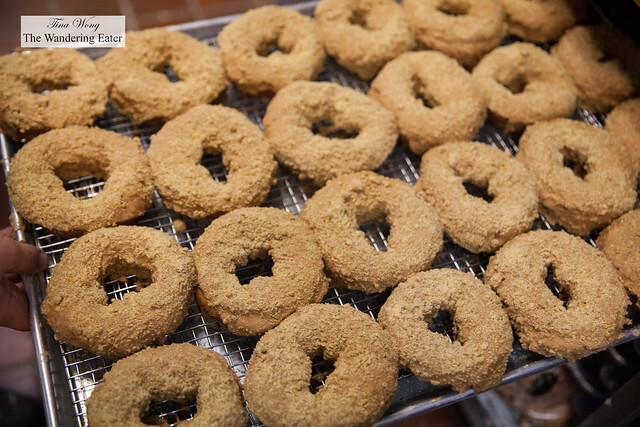 All of the doughnuts are hand made and with real, natural ingredients (like fresh blueberries and pomegranate) and still be intensely pleasurable and delicious and there’s some mashed Maine potatoes. 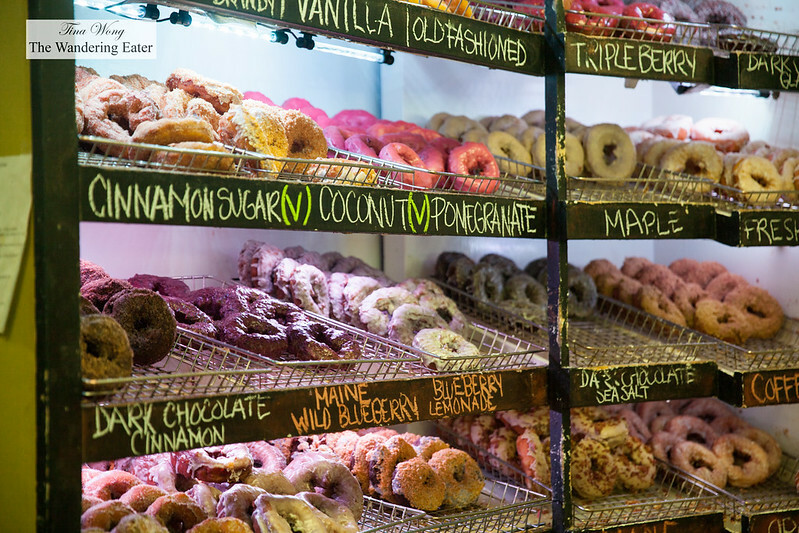 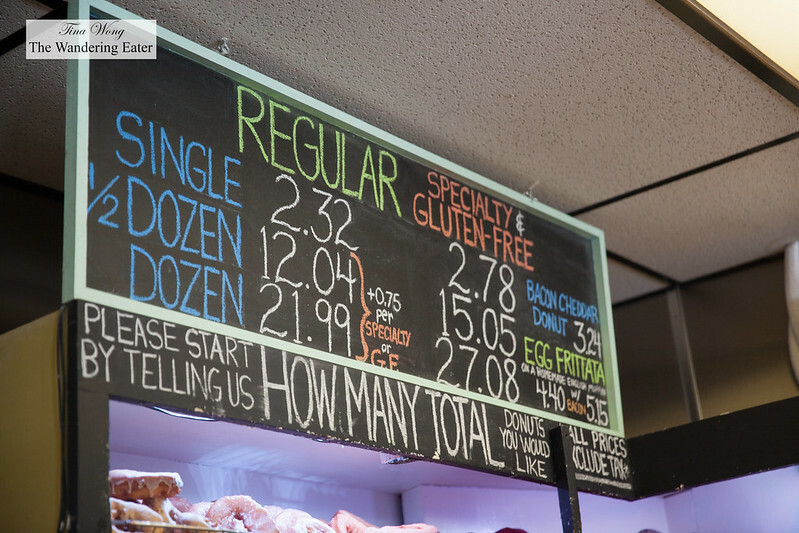 There are three locations in Portland (the one I visited on Park Avenue is the first location) and some 20 creative flavors ranging from pomegranate and dark chocolate sea salt to bacon cheddar-filled and Allen’s Coffee Brandy. It’s crowded with a big crowd and a long line leading out the door for these coveted fried confection. 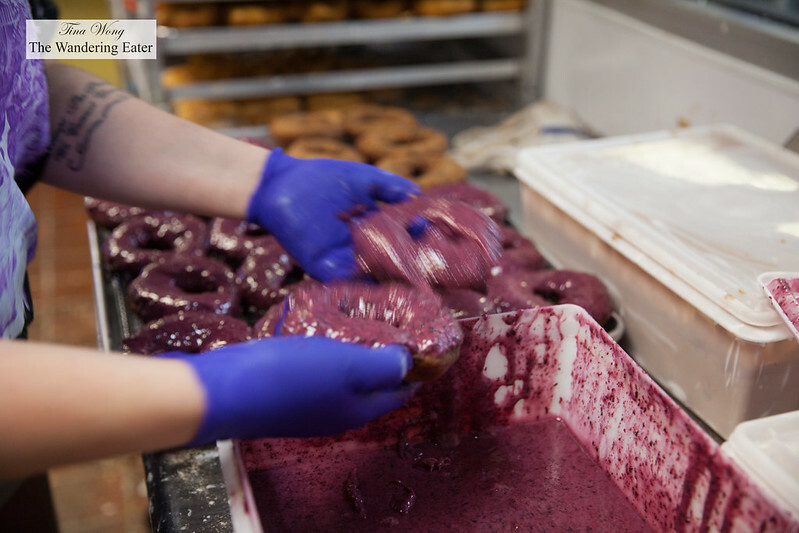 I was fortunate to get a sneak peek behind the scenes watching the ladies running the kitchen quickly glazing trays of doughnuts in fresh blueberry glaze. 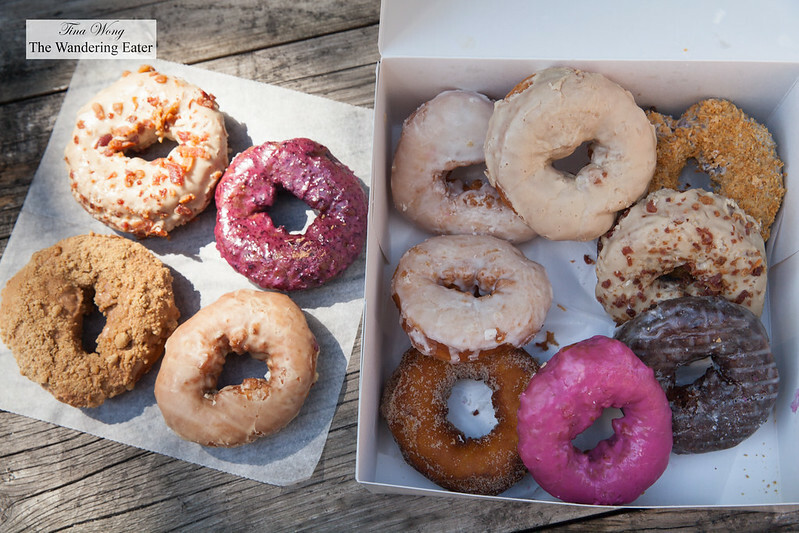 Of course, I couldn’t resist and got myself a dozen. These doughnuts are delicious and satisfying. 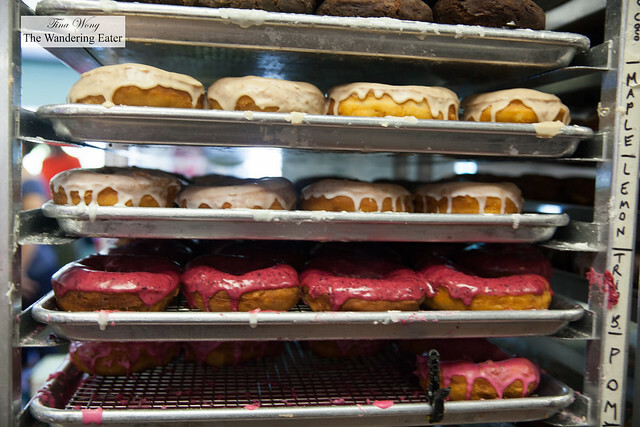 They were not dense but had enough substance when you sink your teeth into them. 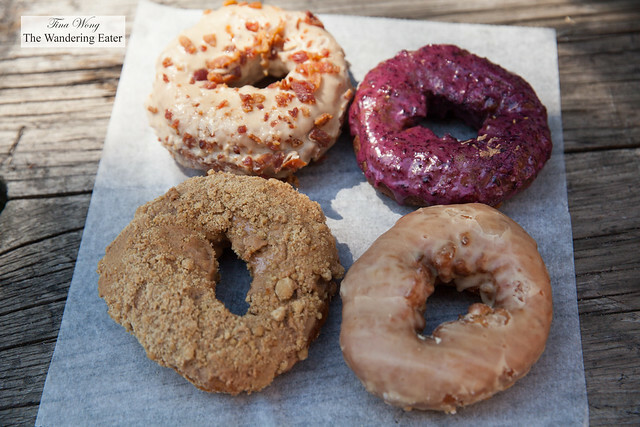 The flavors of each doughnut showed through just enough at every bite.